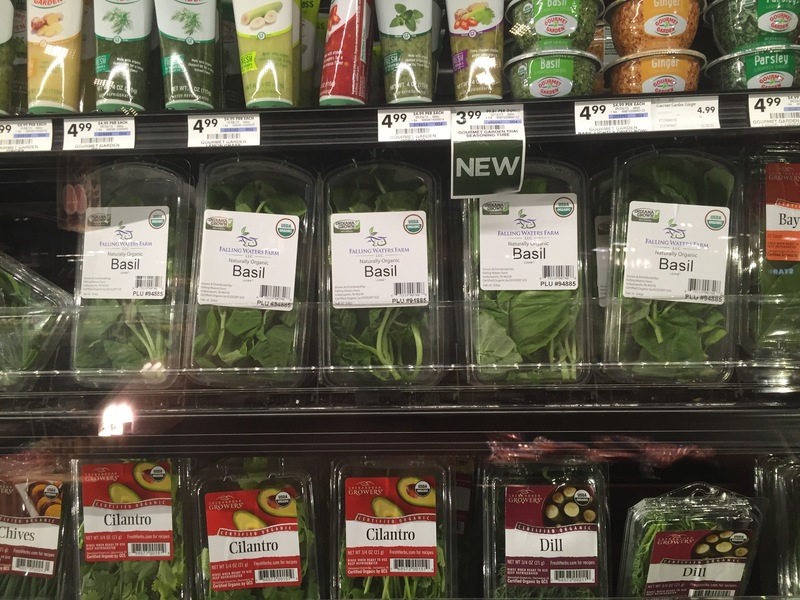 Find our local Organic Microgreens and Basil on shelves at some of your hometown grocery stores. Sightings so far have been at Dorothy Lane Markets in Dayton, Ohio; Market District in Indianapolis, IN; and Lucky’s Market in Bloomington, IN and Woodman’s Markets. Let us know if you see it in your store! Reach us if you WANT to see it in your favorite store. Our Basil at Market District in Carmel, IN. Photo courtesy of Jon Shope. This entry was posted in Microgreens, Produce, Uncategorized and tagged Basil, Local, Microgreens, Organic, Retail Size. Bookmark the permalink.